Chase App a great application created for any type of business (small, medium and enterprise) that will help you to track your Employee's daily working schedule and Status who are in field work(with mobile). This android application reduce all the difficulties by tracking employee based upon its real-time location, improve visibility between employee and company. Quasima Chrono Tracker is a time tracking application for Windows desktop. It allows you to keep track of multiple projects and categorize how much time you spent working on each of them. Clear Task Solutions is a cloud based app that offers the best way to manage jobs, time cards, and reports while in the field. Track & improve your employee's productivity. Clocked and Loaded is a simple to use time clock solution for the office, the job site, and on the go. It's hosted software designed to make staff hours tracking accurate, easy, and pain free. Gain back control of time, drive better results and empower employees to check in wherever they are. This is the time tracking "power tool" that delivers the real world answers you need to succeed. ClockInEasy is an easy-to-use location-based(GPS) time tracking app that allows employees to clock in and out from the job site or office location with an iOS or Android device. Manage your workforce and see who is clocked in at what time. Avoid buddy-punching with our biometric timesheets that confirm the employees identification. Precise data tracks your employees hours worked and creates instantaneous cloud-based timesheet reports which make payroll a breeze. Access our user-friendly web dashboard to review and approve timesheets before exporting them to your payroll provider. Clockitin is a new tool that help you track time. Making it easy to track your time through the day and quickly shift between tasks. 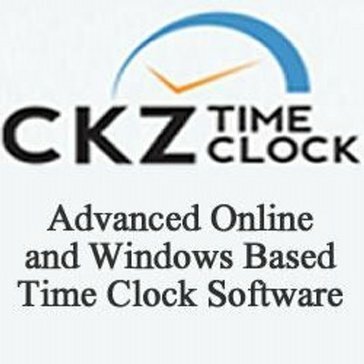 ClockIt is a cloud based time and attendance software that is compatible with more than 900 devices. Complete Time Tracking is an advanced time tracking tool which enables you to easily record the time that you spend working for customers, projects and tasks. Crewmeister provides an easy time tracking solution.The SaaS application allows small and medium sized business owners to track and analyze working times of their staff and significantly reduce the administrative overhead. CrocoTime is an automatic time tracker that monitors computer activity, provides timesheets, supports integration with business software, calendars, IP-telephony, turngates and allows assigning value to tasks, individual schedules for employees. CrowdMinder helps your crowd enter time and leave faster, lets managers mind their crowd and makes billing and reporting simple. CurrentTrack® is specifically designed with advertising agencies and creative service firms in mind. This web-based workflow management system is robust, adaptive and intuitive — so it works exactly the way you want it to. Best of all, there’s no software to download, virtually no learning curve and no need for IT personnel to maintain it. Enabling you to replace multiple time tracking, messaging, logistics and information storage services with one simple, easy-to-use management system, CurrentTrack lets you do it all and Know it All. DAESK uses AI to visualize your work and give you meaningful insights about your daily activities. Dashable is a project time tracking for agencies. BizPulse™ helps track time better, manage client expectations, and reduce invoice shock so you get less invoice disputes and collect more money faster. DolceClock is a next-level labor intelligence solution for restaurants through cloud-based scheduling and timekeeping. Easy Time Clock is a cloud-based time and attendance system that provides a comprehensive, accurate, and affordable solution allowing employees to clock in and out with a computer, mobile device, or biometric reader. Resource planning and time tracking software, from project kick-start to invoice. elapseit is simple to use, extremely user-friendly and easy to learn. It’s the perfect choice for startups, agencies, small & medium companies, especially in the following fields: digital marketing, creative agencies, web development, IT & Software companies or legal. In a nutshell, elapseit covers the following: •	Resource scheduling •	Time-tracking •	Projects (phases/task) •	Leave management •	Invoicing •	Legal documents sharing, versioning and more •	Dashboard and reports PROJECT You can start to create a project (time and material or fixed fee). Set a default hourly rate. If you have more rates on the project that’s fine, you can customize it depending on the job title of each person who will be billed. You can even set who is allowed to log hours on the project: every person who’s got a licensed account or only allocated persons on that project. If you want to be even more in control that is possible, you can set if the hours logged on the project will be automatically approved or needs to be approved by a project manager assigned. You can have different phases of the project, you can create direct tasks on the project, or you can create tasks only on phases of the project. After creating them you can assign persons directly on project, phases, tasks, task’s of phase’s of project. It’s your choice. PEOPLE With regard to your employees/collaborators, you can keep every info that you need in a single place: hourly rate or monthly pay, currency, the number of vacation days per year, weekly working hours, upload documents related to a person and so on. TIMESHEET It has never been easier to be in control with hours logged by your team on different projects/phases/tasks. As a project manager you can schedule your team on a project. Each person who has been allocated, when will log into the system with his/her account will see his/her allocation and can submit the hours if worked accordingly or can add a new project/phase/task if worked more than has been allocated or if worked less can simply modify and submit the accurate number of hours worked. If the project has been set up as hours logged to be approved by a project manager, then the project manager will check the hours submitted and can approve or reject them and put a comment. After that, the team member can submit again the hours based on the comment(s). After the hours has been approved, the project manager or financial department can lock the hours so no one can modify no longer the hours so an accurate invoice can be created directly with just a few clicks. RESOURCING SCHEDULING The Gantt chart is very easy to use and offers you important information. You can see at a glance who’s over-allocated or under allocated. You can drag and drop to modify the allocation of a person on a project/phase/task. You can use the filters to see only the information that you need in that moment: only for specified projects, people, departments, locations, job title. LEAVE MANAGEMENT Leave management system (availability) is working together with the resourcing planner and timesheet. You will see on the resourcing planner who is off and for how long. You can approve or reject different types of days off and into dashboard you can even see the persons who have time-off approved for a future period. One big aspect is that bank holiday has been integrated into leave management, so you don’t need to worry if a person is requesting a time-off during a period which includes a bank holiday because that day will not be taken from his/her vacation days. DASHBOARD and REPORTS As a manager of a small or medium company you will see into dashboard into seconds what’s relevant for your business: accounts payable (no matter if you’ve invoiced in different currencies you will have the total amount converted into the currency choose by you), next pending invoices, top overdue invoices, top over-burn or under-burn projects and so on. Customized reports which help you in your business, starting from the basic timesheet, list of your employee’s time-off, billing, profitability, cost with your employees, forecast and so on, you can download them as pdf or csv. LEGAL Legal documents sharing, versioning and more. BILLING & INVOICING Invoicing can be automatically created based on the timesheet no matter the type of project (fixed fee or time and material) and can be edited after manually and download it to send it to your client. CUSTOMIZE YOUR BUSINESS’s ACCOUNT PREFERANCES You can customize your company profile account based on your preferences and change them whenever you want: •	Set maximum hours per day that an employee/collaborator can submit •	Set maximum vacation days per request •	Set default vacation days (you can personalize for each employee in part after) •	Set when to be notified, before project budget will be burned or allocation will exceed the project budget (%) •	Set a default currency (you can personalize for each project) •	Create different departments (development, financial, administrative, HR, maintenance and so on) •	Create different locations •	Set different types of time-off: sabbatical, educational leave, maternal leave and so on. The app already provides you the following types: vacation, sick leave and home office. •	Set the bank holidays from your country and benefit from the following aspects: •	Translate the invoice in your local language •	Ticketing system platform. The primary function of Employee Time Punch is to make employee time keeping accurate, easy and efficient. We makes the time your people spend on projects visible and available as simple and user friendly as possible. eMpower time attendance is end to end, web based, HR automation solution that facilitates time and attendance, leave management, shift management, employee self service and overtime & comp-off management for the organization of practically any size. ePieraksts lets businesses manage appointments, customers, staff, schedules. The idea behind eTimeMachine timesheets is to simplify the task of recording time spent on activities and make it less challenging by bringing together in one screen all activities assigned to an employee, regardless of the type and origin, be it an overhead task, activity from a crew assignment, project activities, tickets, ad-hoc tasks, etc. eTimesheets has been laser-focused on nothing but online timesheets. We know timesheets. It's all we do. eWork is a multilingual Virtual Clocking & Task Tracking App for off-site employees to record working hours spent in different workplaces.With eWork, companies will have access to the geolocation of their mobile workforce with 6 anti-fraud proprietary controls embedded to notify the company about GPS alterations, sensors disconnection or other fraud techniques. Your Personal Time Tracking Software. Timepaq application is integrated with Attendance Recorder to track employee attendance with ease and accuracy. Explaindio is an animation, doodle sketch, and motion video creation software. The best solution for tracking time and running payroll. The online school timesheet software tracks all part-time employees' hours and money owed to them. EzyTime attendance solution has a slick and user-friendly interface which allows you to easily view and manage the attendance of your employees. Our mobile app gives you the ability to track and manage your employees from anywhere in the world. Fitnet Manager has developed and marketed its ERP management solution exclusively distributed in SaaS mode. Fitnet Manager is edited by the BSA CONSEIL Company. Flapps Time Tracking is a web based employee time tracking solution with features such as invoicing, expense tracking, and project cost management. Freelancy is a time tracker, project management and invoicing software for individuals and teams. GetMyTime is loaded with useful features, each one with its own meaningful purpose.